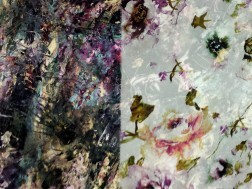 We have beautiful new designer silks in stock, perfect for dresses, blouses, or scarves. These silks are smooth and move beautifully, so you will not only feel great in your new garment, but you’ll look amazing. There are floral, animal print, and solid colors. While there are a lot of yards on each bolt, we only have one of each kind, so come in soon and pick your favorite!